The trick for creating a perfect shade of muted-metallic pink? The starting level! Make sure the hair is a pale Level 8 or higher before adding any pastel color. 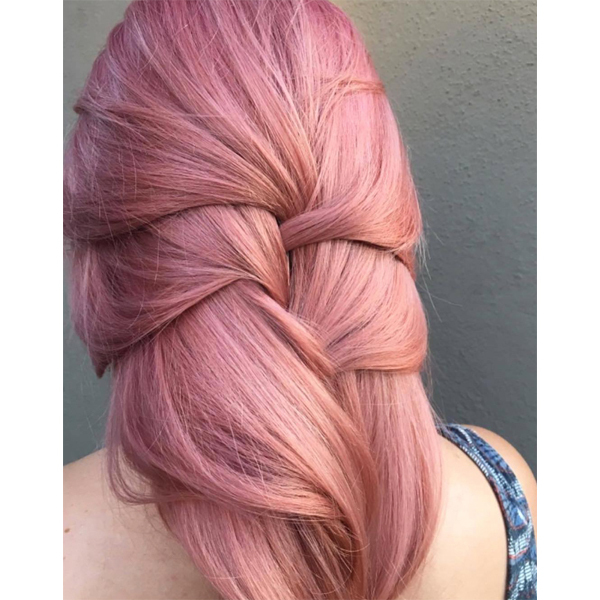 Here’s how Lyndsey Palumbo (@lyndseyteresehair) created this cool Redken rose using the new Shades EQ pastel colors! 1. First, lighten the hair and let process until desired level is reached. Know that when creating pastel colors, working on a Level 8 or higher is best. Rinse hair and tone all over with Formula B. 2. Then rinse again and add Formula C to the root areas and Formula D to the midlengths and ends. Let process and rinse. Then, dry and style as desired.